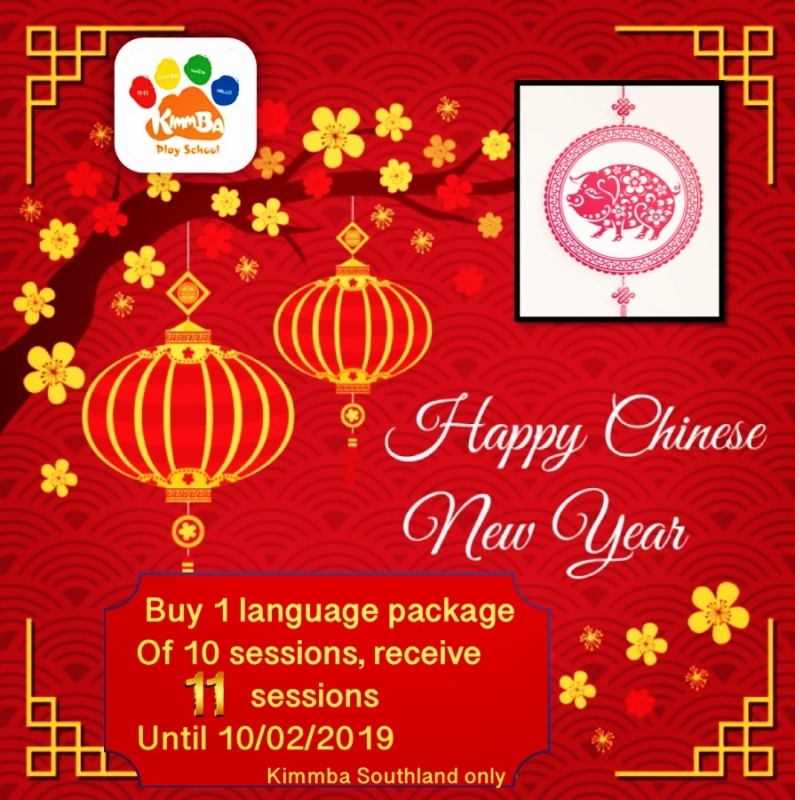 To celebrate the Chinese New Year of the pig , Kimmba Southland offers you an 11th session for 10 sessions bought. It is valid for both language classes (Chinese, English, French, Spanish )and play sessions!! Offer valid until 10/02/2019 . Happy New Year !